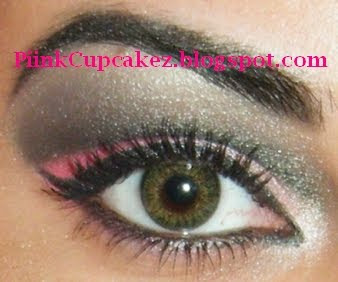 FemmeFatale here are your Pink and Black Eyes..
i didn't know if u meant u wanted me to do the look that i posted b4.. but pink and black.. or a completely diff. look..
hope u guyz like it! i lovelove the pink an black!!! a bright green.. so it's different. I love that bottom look, too. u did a great job once again. 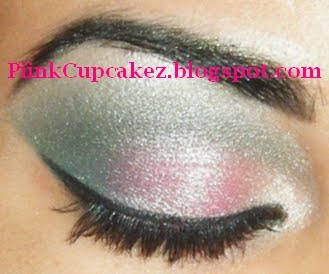 i declare u the master at blending. Do I like it? I love them girl! I still think your skills are incredible. I'm always inspired by what you do...they are simply stunning! Loves it mama! You are a makeup genius. Femme Fatale- gooood! lol.. im happy u like it and thank u! wow those are really gorgeous looks.. I love both of them,they are just perfect!Omg you are amazing,could never do this on me! OMG!!! Love the looks hermana!!! thanks! and thanks for following! 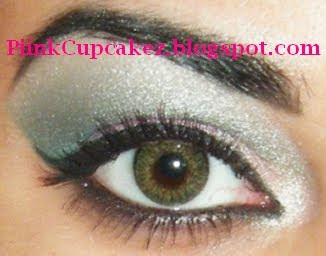 It's a very clean eye and I love it..i love playing with my colors as well...keep it up! Both of that looks just amazing :) Looks fabulos! 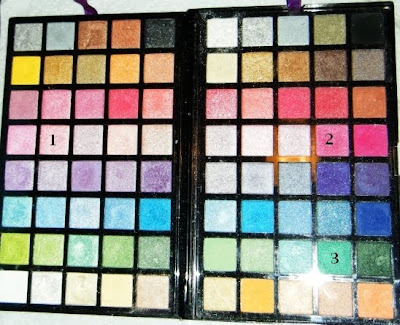 is yur palette a special kind of make up brand?